We’ve got some exciting news for Alien fans this week as Fox has announced that Ridley Scott’s upcoming Prometheus sequel, Alien: Covenant, will arrive in theatres even sooner than expected. The movie was originally set to be released on Aug. 4th, 2017, but now it will be terrifying audiences a full three months earlier on May 9th. Along with the new release date, they have also released the first official poster for the movie which makes it clear that this will be much more in line with previous Alien movies. It would seem that the crew of the Covenant will be facing creatures that strongly resemble the classic Xenomorph (this variation is rumoured to be called a “Neomorph”). Are you looking forward to Alien: Covenant? Check out the new poster after the jump. Hope this is wrong, but somehow this reminds me of the Teaser Poster for Star Trek V – the one were they well put saftey belts in theater this summer. Hope i´am wrong, but at least Reed will love the flick. Doubt this is enough to break even. You gave me a laugh, but I really don’t have the slightest idea why this reminds you of the seatbelt poster…. 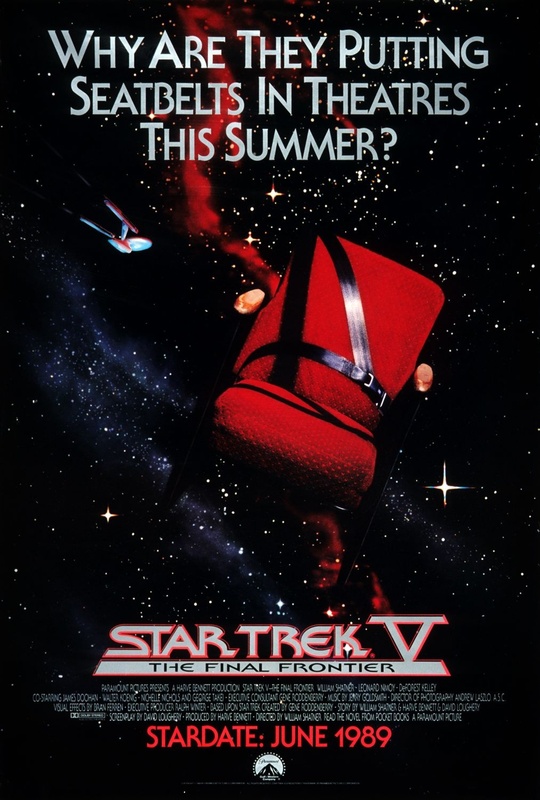 Don´t really know, just that the Trek V poster should have had the said…. RUN…to the exist . Also to get a reply from Reed where defends his worshiped Shatner wreckage of TV Movie. Will be great fun to hear he talk about Alien……lets hope he decides to come down to the humple masses. I actually love this poster. Seeing this in the theater lobby in early ’89, alongside the Batman, Ghostbusters 2, and Last Crusade posters was amazing.